The really cool think about this fly that there is some Krystal Flash worked into the forward slanting hackle, giving it some "bling" and "sparkle" that sure will get some fish's attention. I am looking forward giving this fly a workout this Spring, I'll bet it will be a winner. By the way, Chris is actually quite an accomplished fly tier. 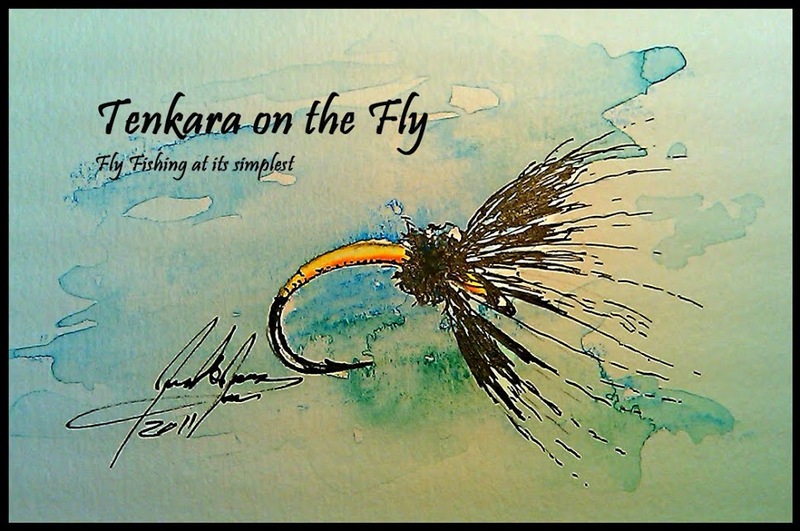 Last year, he came in 2nd in a fly tying design contest of Montana Fly Company and the Outdoor Blogger Network. Also, Chris' flies are available for purchase through TenkaraBum here. Give them a shot, they are worth their money.